regarious’, ‘brilliant’, ‘inspiring’, ‘mischievous’, ‘cheeky’, ‘complicated’ and ‘revolutionary’ are all terms used over the years to describe Neil Smith, who has died from liver failure. While the full influence of his legacy on radical social theory, and Marxist spatial theory in particular, remains to be seen, he stands among the most important geographical theorists of the last century. Neil was born in Leith, Scotland, on 18 July 1954. His undergraduate education was in the broad tradition of geography taught at the University of St Andrews, which entailed training in earth sciences, including geology and geomorphology, as well as humanistic geography. He was largely motivated to pursue what would become his life’s work through his early relationship with Joe Doherty, who had brought the revolutionary sprit of 1968 Paris into his lectures at St Andrews. However, his training in the other earth sciences no doubt helped inspire his well-known lifelong interest in birdwatching, and his less well-known interest in smuggling seeds across the world to watch them grow at his homes in New York and Toronto. He worked at Columbia (1982–86) and Rutgers (1986 to 2000) universities from before moving to the City University of New York, where he founded and directed the Centre for Place, Culture and Politics, and was a Distinguished Professor of Anthropology and Geography. 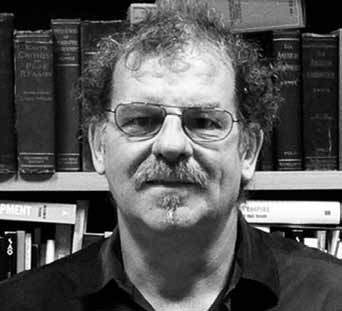 From 2008 he also held a fractional appointment as Sixth Century Professor of Geography and Social Theory at the University of Aberdeen. Neil wrote Uneven Development: Nature, Capital and the Production of Space (1984) out of the dissertation that he completed at Johns Hopkins under the supervision of David Harvey. The book is of its period, where we were actually discovering Marx, and I think that comes through in every dense paragraph, every dense sentence, every dense phrase in the book, for which I apologize. But, I think the density of it is very much about the voice, which was, how do you take Marx and make it relevant to geography, and that was such a political project… In retrospect, I am going to defend that project tremendously.